﻿ How to create digital flipbook that can be viewed on mobile devices? How to create digital flipbook that can be viewed on mobile devices? Nowadays, more and more people choose mobile devices to replace PCs, especially they are on a trip or in a queue. Wanna your customers to read your magazines, catalogs, brochures or any digital flipbooks on their mobile phones or tablets anytime? Use 1stFlip Flipbook Creator to make digital flipbooks for mobile devices (iPhone, iPad, iPod and Android devices) within steps. 1. 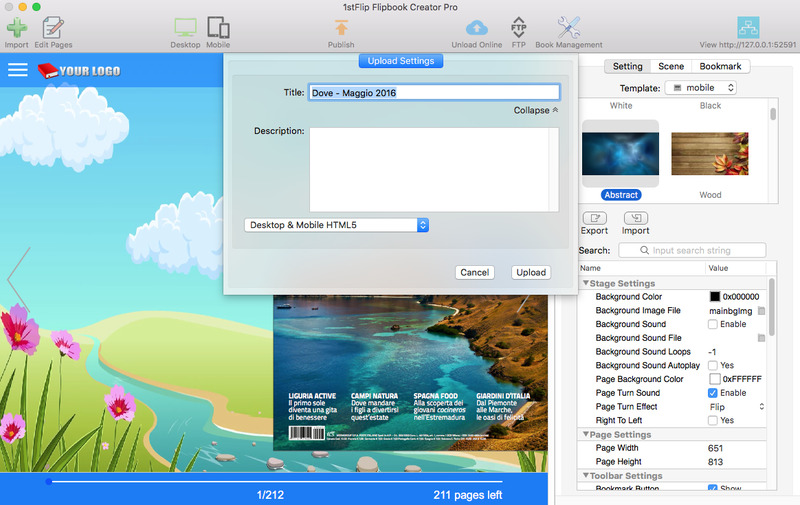 Download, install and run flipbook creator software on your Mac or Windows. 2. 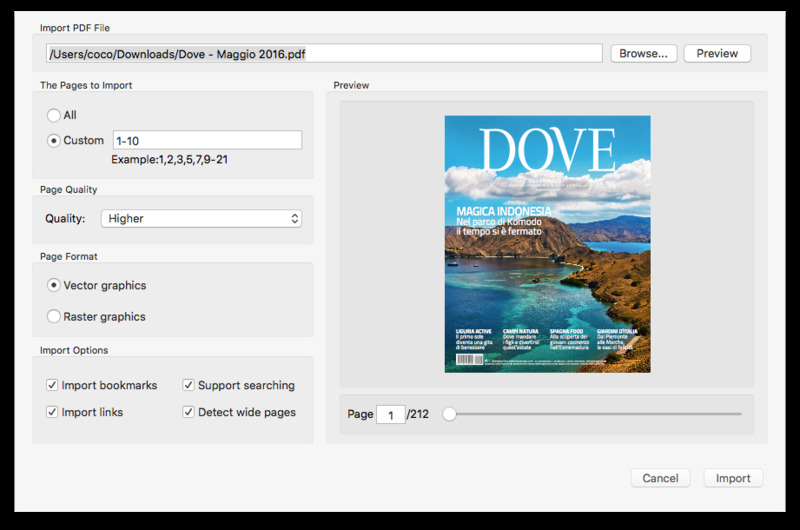 Click Import button to choose PDF files, page ranges, quality, and format. Check "Import bookmarks", "Import links" if there are and you want to preserve them. Then click Import. 3. Choose scenes and customize the settings. b. Upload to 1stFlip Cloud directly. Click Publish button and choose .html format. If you want to display Flash flipbook for desktop/laptop readers and HTML5 flipbook for mobile readers, choose Flash-HTML5. If you want to create pure HTML5 flipbooks, choose HTML5 only. Below is content you will get when you choose Flash-HTML5, Flash only and HTML5 only respectively. Upload the whole output folder to your website. If you choose Flash-HTML5, The flipbook url will be http://www.yourdomain.com/folder name/file name.html. In this example, file name is index. The flipbook url is http://www.yourdomain.com/folder name/index.html. Open http://www.yourdomain.com/folder name/file name.html on mobile devices, it will automatically direct to http://www.yourdomain.com/folder name/mobile.html. If you choose Flash only, flipbook url will be http://www.yourdomain.com/folder name/file name.html. 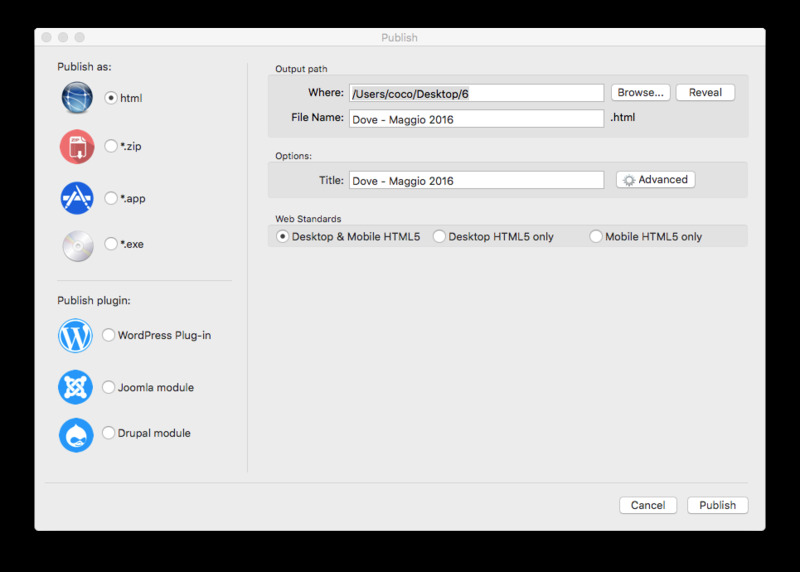 If you choose HTML5 only, flipbook url will be http://www.yourdomain.com/folder name/mobile.html. Click Upload Online button, enter Title and Description of the flipbook, select “Flash-HTML5” "Flash only" or "HTML5 only" and click Upload. After uploading, you will get the URL of the flipbook. Type the URL in the browser to view the flipbooks on mobile devices. Download the free trial of the 1stFlip Mac flip book creator software to create HTML5 flipbooks for mobile device users! How to make digital magazine with page flipping effect? How to make an online flipbook on Mac? How to upload flipbook to own website? How to embed flipbooks to website? How to insert logo to your flipbook? How to upload flipbooks online? How to send flipbooks via email? How to add my own Flash (.swf) file as a scene? How to add background music to digital flipping books? How to change the icon of .app flipbook? How to make the toolbar of the flipbook multilingual? Copyright © 2018 1stFlip. ALL Rights Reserved.